September 14, 2015 By Allyson 5 Comments This post may contain affiliate links. Read my disclosure policy. 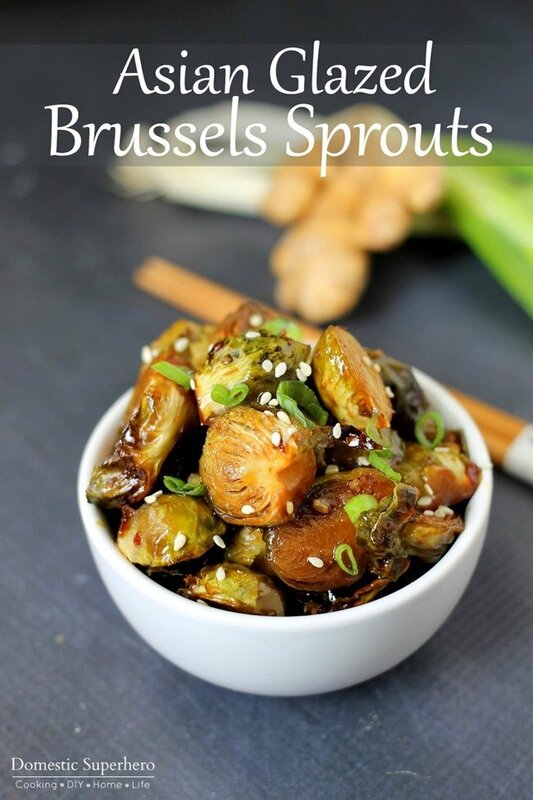 Guys, I have a confession – I LOVE Brussels sprouts. They are tiny little cabbage balls, that when cooked correctly, are amazing. I know, I know, you probably think you hate them, but trust me – they are delicious. These are not the Brussels your mom cooked 20 years ago, these are mouthwatering, spicy sweet balls of goodness. 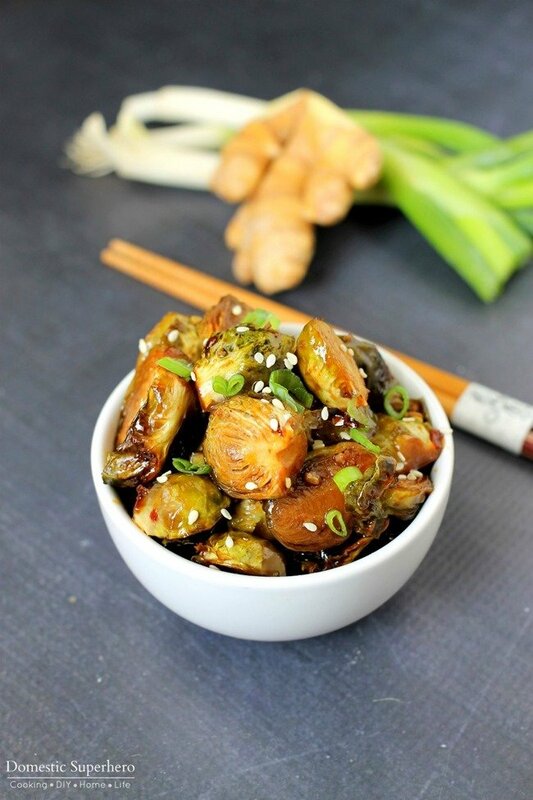 Asian glazed Brussels sprouts are the perfect companion to your dinner. I think the main issue with people not liking Brussels sprouts, is because they are overcooked. When Brussels are overcooked, they develop a strong flavor. The odor is associated with an organic compound found in the vegetable, which contains sulfur: hence the strong smell. Of course, most people don’t like things that straight up stink when you hold them up close to your nose, so take note – DO NOT overcook Brussels. 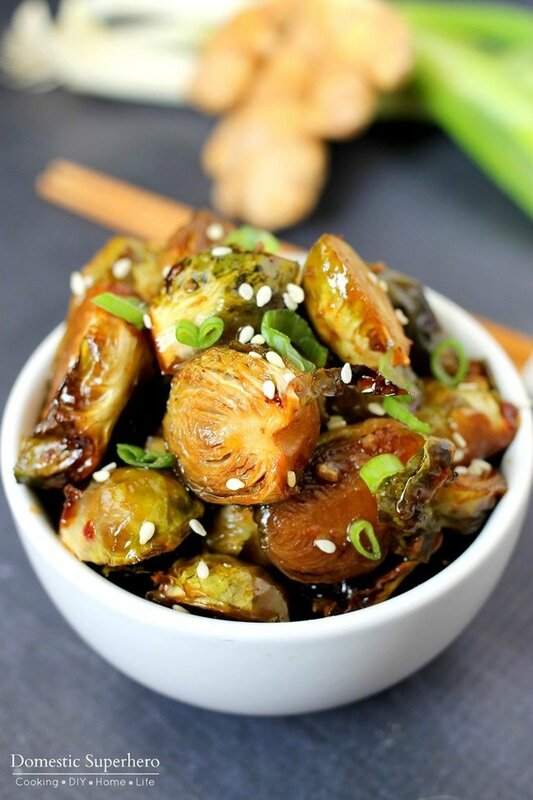 If you are making a nice salmon filet, or some chicken breast, these Asian Glazed Brussels would be perfect alongside it. You could even use this glaze on those meats, and just cook it altogether – 20 minutes is your key time, which coincidentally is usually the perfect cook time for salmon or chicken. Just double the glaze recipes and toss it on everything – perfection. 2. In a medium bowl, add brown sugar, soy sauce, hoisin sauce, ginger, red pepper flakes, sriracha, and garlic; whisk well to combine. Add halved Brussels and toss to combine. 3. 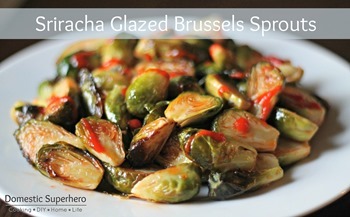 Transfer Brussels with sauce to a shallow baking dish, and place in oven for 20-22 minutes. 4. Remove and serve. Enjoy! How do you like your Brussels Sprouts cooked? I have a couple other recipes on Domestic Superhero if you want to try them out! I picked up some brussel sprouts at the store yesterday. These look so good! It will be a nice change up from my usual roasting with olive oil and spices. Can’t wait to try it. 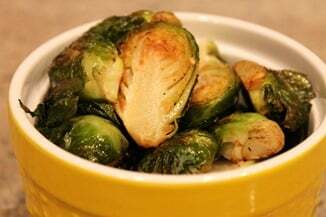 I love a classic roasted brussels sprout, but this is a really nice alternative! I hope you like it! Yum – thank you and have a great week! The Brussels sprouts look great. I will follow you once you have something to follow on Pinterest. Thank Pamela! 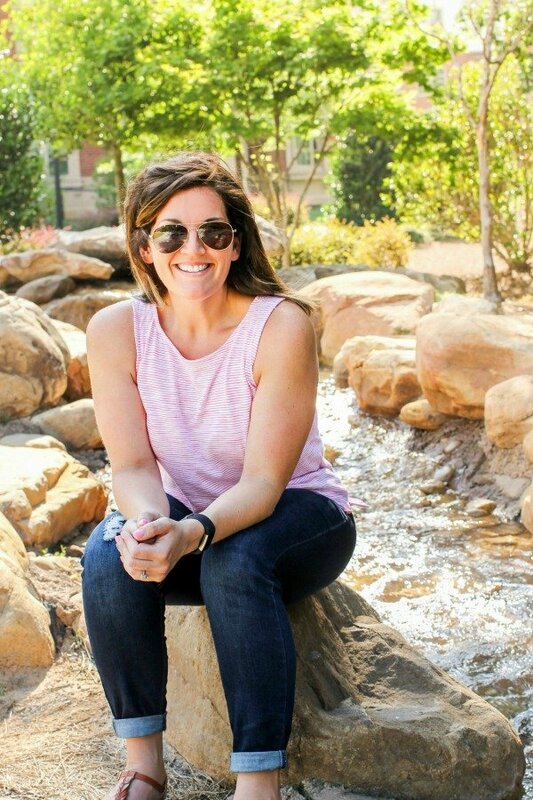 You can follow me on Pinterest here!